We rose from the ashes, to create that old school mafia game with a new twist. Come commit your crimes, perform Missions and Special Ops to earn cash and points. Compete in Warzone for status and stash! 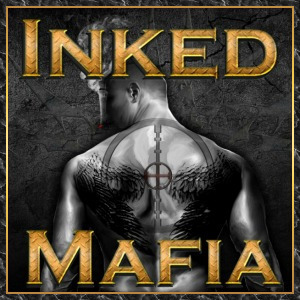 Inked-Mafia has special features you won't find anywhere. Do you have what it takes to make it in the world of Inked-Mafia? Come rise up in the ranks, and prove it! THis Game is totally amazing! earning points, Mugging , Warzone Comps , Events all the time , STaff/Owners Amazing Handlers! And Music They Stream to Play to if You Would like to Tune in~ Or Go Visit their Radio Chat! This is an awesome game that can be accessed by your browser , normally no speed issue.. Friendly Staff... Owners That Care and Update the Game ... always adding to the game to give us more to do... and training refills quickly ... and a big bonus, besides having promotions /and player interaction with challenges , just like we have a # Gone Green Profile Contest, Referrals Contest! Weekend Listener Rewards for The Radio , yes Radio to kick azz too.. Live DJ's , Come join Inked-Mafia and See for Yourself! Inked Mafia is by far the best mafia game I’ve ever played. It has a good friendly environment and is fun to play. I never run out of things to do!! Tell them Lysander ID:3304 sent you in the referral box! See you soon! I enjoy this game, I love the competition.There is always something to do. Always a way to win and build. Missions Special Op's and Hourlies as well as Daily changes to win big. Oh and a weekly Warzone! Damn you can play for free and still be one of best! Great game that's fun and easy to play. I do missions and special ops for points and cash. I love the Back Alley where I fight for honor, experience and cash. I compete in Kills, attacks and busting to get top spots in Warzone. Lots to do and some crazy people to play with in this cool mafia game. Come join me! Tell them Shiloh sent you, ID 4 in the referral box when you sign up!!! See you there! !